So good! Like legit good! I whipped this up during a work break of mine and was pleasantly surprised that it tasted as good as it did since I just threw a bunch of stuff into a bowl with a recipe. 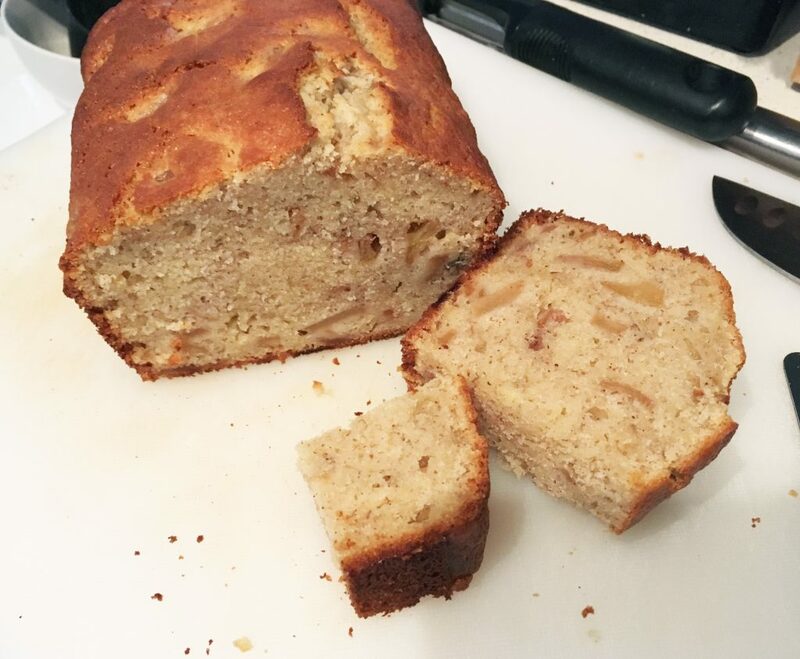 If you have bananas that are way too ripe or just went apple picking, this is a great recipe for you to use up some produce (which is why I made it). I bet you could swap apples for pears too for a really nice twist. In a pan, melt the 3 TBS of butter. Add in diced apples, cinnamon, nutmeg, and ground ginger. Mix and cook over a low-medium heat till soft. Add in the stick of butter and melt the butter. Turn off heat. In a bowl mix together the eggs, mashed bananas, vanilla extract, sour cream, and sugar. In another bowl, mix together the baking powder and cake flour. Add in the banana mixture into the flour mixture. Mix well. Add in the apple and butter mixture. Gently fold together until mixed well. Pour into a buttered loaf pan and bake for 45 minutes at 350 degrees or until cooked through.